And we want to train you to be serious about it, too! Save Lives Sonoma is a multi-agency group made up of emergency healthcare professionals and emergency responders with the goal of improving sudden cardiac arrest survival in Sonoma County. We aim to accomplish this effort through compression-only CPR training provided throughout the community at no charge. 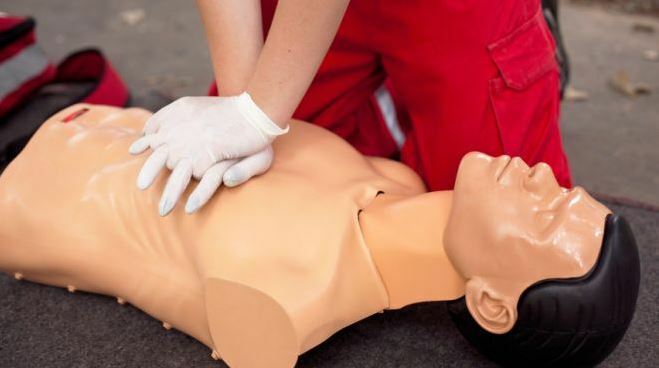 Save Lives Sonoma’s most lofty goal is to have no less than 100 percent of Sonoma County residents trained in compression-only CPR, and to increase the awareness as to the importance of bystander CPR. There are many instances where CPR is not performed because the bystanders are afraid they might “do it wrong.” Performing CPR on a victim of cardiac arrest may provide that person with the only chance they have to survive, and our goal is to do everything we can to see that as many Sonoma County residents as possible are able to give other members of their community that chance. Our message is to “Call 911, push hard, push fast, don’t stop!” and we work to dispel the fear associated with performing CPR, helping to save countless lives in the process.